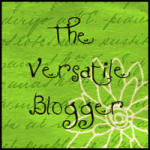 This entry was posted in blogging, Expat moments, Gidday Firsts, Guilty Pleasures and tagged Linda A Janssen, social media, VBA, Versatile Blogger Award by Kym Hamer. Bookmark the permalink. No worries at all Charlie and thanks! Thanks Ariana. Glad you enjoyed the list of fellows. Congratulations, Kym! And thank you so much for the nomination. I also enjoyed checking out your list! Well done, Kym, a much deserved award. Andm thanks for the mention. Thanks Linda. Hope you've found some inspiration in my 15 'fellows'. Well deserved, I'm so glad you enjoyed your acknowledgement from cyberspace. Cool list you've posted, too. Thanks Jack. To continue the circular analogy, they do say what goes around comes around…and the Circle Line really ought to be renamed now it stops at Hammersmith…. Good on yer Kym! Thanks for the list to explore.